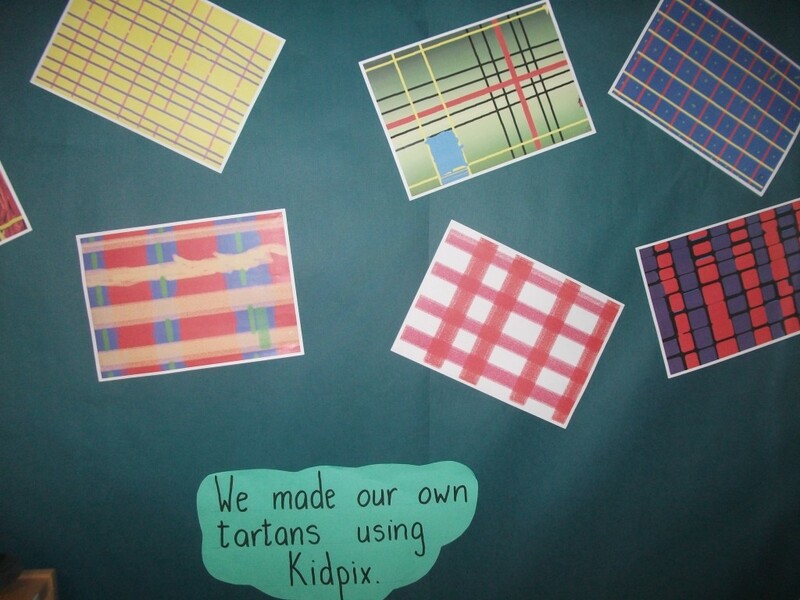 P2/3 had a busy Scottish week. 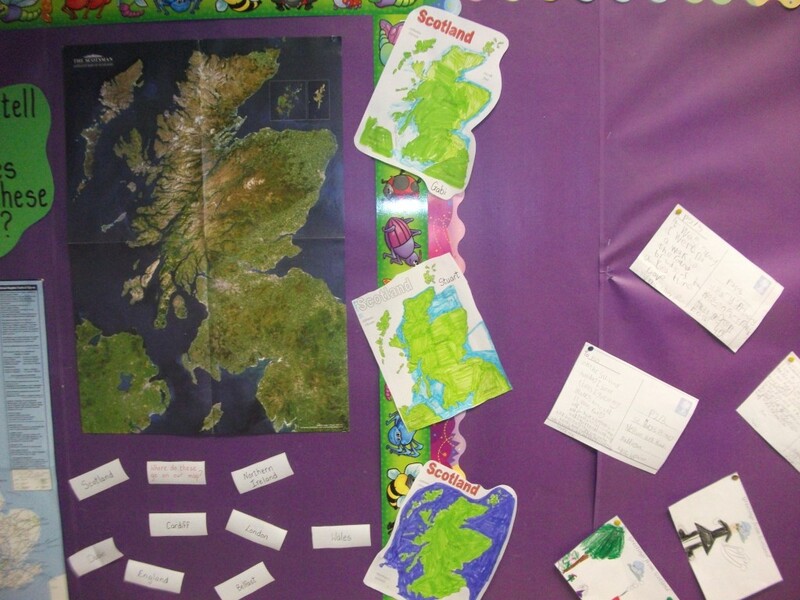 We found out about all the things we knew about Scotland already, and made a knowledge bank. We listened to a story about young Robert Burns when he was growing up. We also made puzzles of our famous poet. 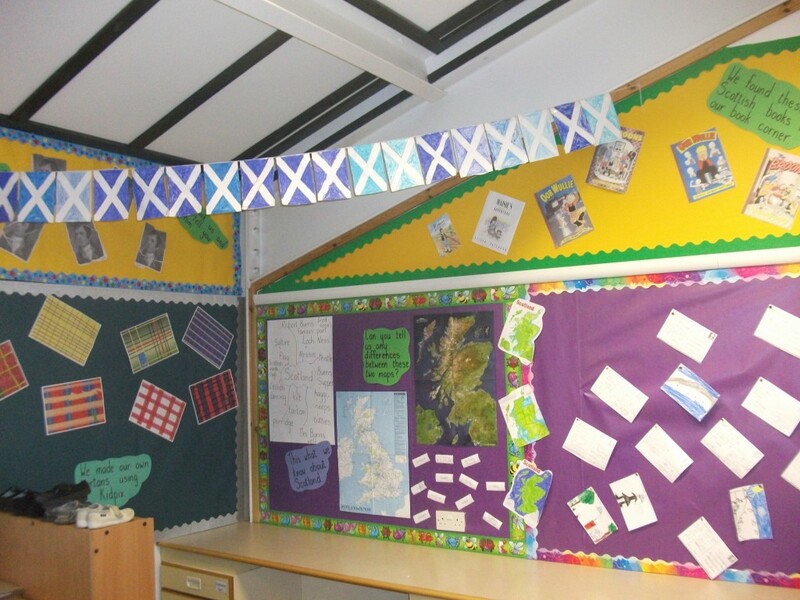 We searched our book corner and found several Scottish books and made a display of this in our classroom. 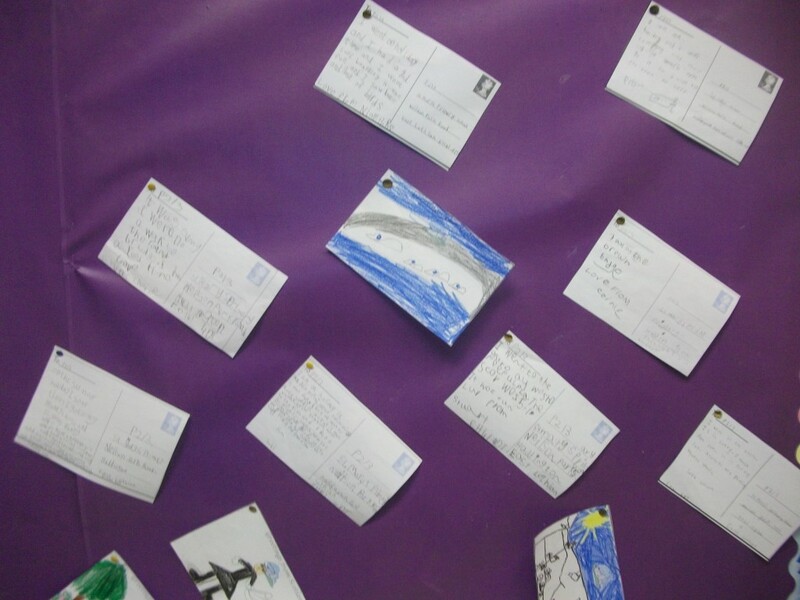 We wrote postcards from Scotland telling everyone what a good time we had. Maps of the UK showed that this was made up of Scotland, England, Wales and Northern Ireland and Eire. We found out which were the capital cities for these countries too. We also made Saltire bunting. Congratulations to Primary 3 prizewinners in our Burns poetry competition, Niamh Robertson and Calum Rettie. Previous PostDig for VictoryNext PostMessage in a Bottle!